Ball Bearings fit inside the air release valve found on most Hookahs and are used to clear smoke from the vase. Ball Bearings can sometimes oxidize or rust from time to time. 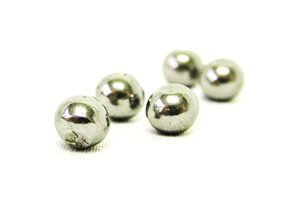 The Ball Bearings that SouthSmoke.com offers are made of stainless steel and will not need to be replaced constantly.